Bench Lawyers : Why participation in e-Court is important? party(ies) exceed the claim. In this case, your client shall be most satisfied with the cost scale displayed by e-Court and knowing that the final & total costs shall be the absolute minimum available anywhere. You can not only help to solve the current "clogged" up traditional litigation, but also generate additional interesting revenues. You also show that your industry can be innovative, despite what outsiders claim. Many lawyers experience their e-Court participation as the new "pro bono" work and seize the opportunity to profile themselves as Internet savvy and socially involved . You contribute alleviating the heavy workload in traditional courts by taking away those cases less complex in nature and where there is more a need to balance facts and interests. Your "lawyer" trainees may sooner be allowed to litigate on their own with e-Court knowing that they are supported by a less complex and user friendly procedural process. As member you receive your own e-Court email box. e-Court operates besides the USA also in Canada, UK, Australia, New Zealand and India. 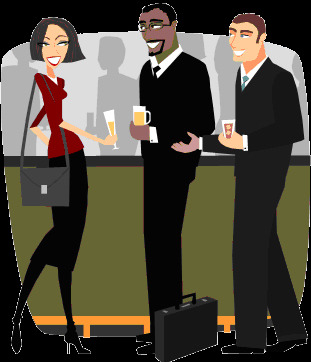 As member you can network and exchange ideas with your fellow e-Court members outside the USA. Technology embraced and legal justice obtained with prior knowledge of expense and duration. Are there appeals in arbitration? Most arbitration decisions can be appealed. However, due to the language that the parties often agree to before entering arbitration, the decisions are usually considered final barring some egregious unfairness in the arbitration process, and thus are unlikely to be reversed or even reviewed by a court. Prior to most arbitration hearings, the parties are required to agree that the decision of the impartial third-party arbitrator will be final? that is, binding and not appealable ? no matter the result. This is all part of the process to incentivize parties to go to arbitration to resolve their disputes rather than suffering through the costs and time delays of litigation in court. Without such a finality clause, arbitration would turn into a waste of everyone?s time whenever one party didn?t like the result and decided to walk away from the decision. Of course, the parties may agree beforehand that the arbitrator?s decision will not be binding, but all parties involved must specifically agree to this. Otherwise, the default is that arbitration awards are final and binding. Nonetheless, appeals of arbitration decisions do occur. It?s important to note, however, that a court reviewing the arbitration decision may never even look to the facts of the case or the merits of the decision, but rather, judge whether the arbitrator was fair and the final decision was valid ? a high standard of deference to the arbitrator. Actually getting a court to reverse the arbitrator?s decision is extremely rare, as it requires showing that the decision was so unfair as to be manifestly unreasonable. The willingness of courts to defer to arbitration awards makes sense, of course, in light of the fact that arbitration hearings relieve the overburdened court system of hundreds of cases each year. A key issue becomes when the arbitrator?s award is actually considered final and thus binding on the parties. The general rule is that arbitration hearings are a one-shot deal, with the final decision coming after the arbitrator has reviewed the facts from the hearing. It?s not uncommon for some arbitrators to take some time following the hearing to issue their decision, usually up to a week afterward. Many will issue a written opinion just as a court would. In these cases, the written opinion counts as the final and binding decision at the time it is issued. In other instances, an arbitrator will issue the decision on the same day as the hearing. This could happen if, for example, one of the parties fails to show up for the hearing. Having this happen is unlikely to impact the finality of any arbitral decision; the hearing is really the only shot you have in arbitration, and missing out will not make the arbitrator?s decision any less final or binding. In some cases, it?s necessary for the arbitrator?s award to be submitted to a court of law and confirmed for entry as a court judgment, making it a legally enforceable decision. This is just part of the arbitration process, however, and does not mean that the arbitration award is under review. Rather, it simply means that the court is going through the formal process of entering the arbitrator?s decision. As the above suggests, arbitration is an integral part of the process of resolving legal disputes. Yet it can also be risky because of the finality of arbitral decisions and the difficulty in appealing them. For expert advice on whether arbitration might be the right solution for your legal dispute, contact an experienced arbitration attorney today.